After the introduction of Nearby APIs and Physical Web beacons in 2015, Google remodels its proximity technology and services to empower an Android mobile app development company to build more connected, intelligent, engaging and useful apps to let users usher in a better digital experience. Google has taken two remarkable steps enabling the technology to better serve its purpose. First, it standardized the technology, and second, it has come up with Nearby, a context-based proactive suggestion model to let users find the right app at the right place. Continue reading to know how? Let's press the reverse button for a while. 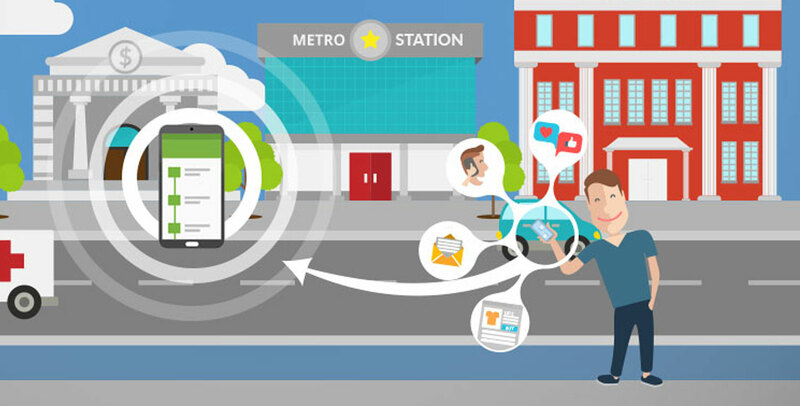 Communication with nearby devices and objects was made a reality with the availability of Nearby APIs and Physical Web beacons in 2015. Beacons, which are one-way transmitter to communicate with the user's device, do the same thing as lighthouses used to do, providing guidance to sailors, and APIs are the tools to help with Android apps development. Their purpose is to establish a communication channel between the app and the beacons used. However, in the absence of any standard protocol regarding the use of beacons and APIs in apps, things would go messy. For instance, if an institution has installed beacons that fail to communicate with the user's device, the investment would make no sense. Hence, Google last year released a set of Bluetooth low energy (BLE) beacons. Further standardization was achieved with the release of Eddystone, an open BLE beacon format. With the more realistic approach, cross-platform support and improved security, the technology have gained adoption across different verticals. CVS Pharmacy, The Broad, Mobile Passport are a few popular examples of institutions and apps enabled with BLE beacons. But a breakthrough approach was required to make the technology more readily available to the end-users. And with Google giving a nod to Nearby that has been complemented well. Let?s understand the rationale. Users might not in be in the know as which apps to download in a particular environment. Interestingly, this brand new feature reads the signals emitted by the beacons where a user goes and suggests him or her of the right app to use. For example, if you are at any of the stores of CVC Pharmacy, your device would suggest you go with an app named after the brand. Using the app, you can easily browse through the store -- know about the available products, take a picture of a product or know about clinics and Diabetes Care Centers operating within the premise. Likewise, to help you explore the art museum, the moment you enter the Board in LA, you would be advised to get the app (named same); and to save time and avoid security hassles at airports in the US, passengers are recommended to go with Mobile Passport, an app approved by U.S. Customs and Border Protection. Using the app, they can easily submit their passport details as required by the authority in advance to streamline exit. Interestingly, Nearby also works with websites and the credit goes to the Physical Web Project powered by Google. Thus, users would also get recommended for relevant websites or URLs to seek information and services from a business. To take advantage of Nearby, a user just needs to keep the Bluetooth and Location services enabled on the device. The feature works on Android 4.4 (KitKat) and above. Hope you enjoyed the blog. Interested in Android apps development service? Just drop an email at info@rootinfosol.com or contact us on +44 207 096 0066.